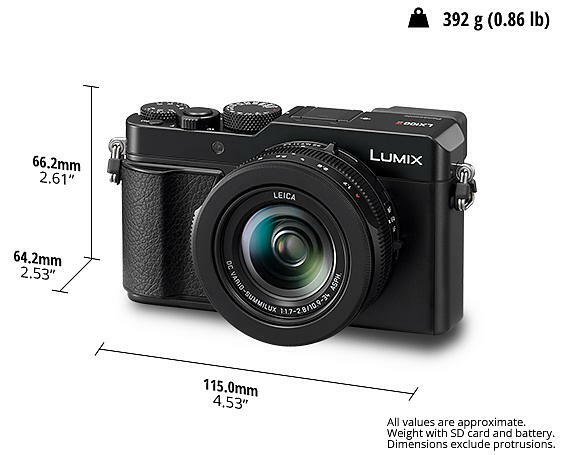 The Panasonic LX100 II Compact Camera! I never did get around to purchasing the original Panasonic LX100 compact camera and the main reason for my decision was that the sensor size was very similar to my Panasonic GF1 compact system camera. However, the Panasonic Lumix LX100 Mark II compact camera with its electronic viewfinder, 17MPixel 2x crop digital sensor, a Leica fixed 24mm - 75mm (field of view) f1.8/f2.8 zoom lens with image stabilisation seems to be the real deal, especially for use as a camera for street photography and offering more opportunities for low light photography and quality images. Its compact enough to fit into a larger pocket or in a small camera bag attached to a waist belt and the image quality from it's Leica zoom lens is ideal up to A3 print size in the ISO:100 to ISO:800 range. Smaller print sizes will allow higher ISO settings for extreme low light conditions. The icing on the cake is its 4K video capability. To help protect the LX100 II lens from dust, dampness and scratches, you can screw fit a B+W 43mm UV filter onto the front and leave it on, even when the lens is retracted into the camera body. A third party 43mm lens cap can clip onto the filter, for when the camera is not in use. 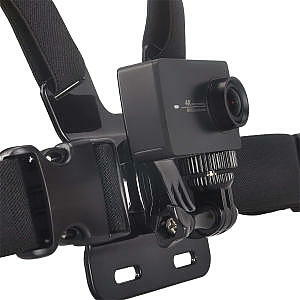 If you purchase GoPro accessories, (harness belt, etc) and the appropriate Universal Conversion Tripod Adapter for attaching the Panasonic LX100 II to it, you can use the camera for action videos (within reason) and also for general photography.